Receptionist is a popular job title all around the world. 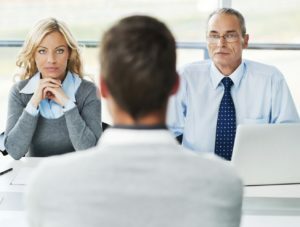 You will typically compete with other job seekers in your interview, and you will have to convince the HR managers that you are the best applicant from the group. How can you do it? The key is to demonstrate the value you can bring to their team of receptionists. The right attitude you show in your interview, and good answers to their questions, will help you to convince them of the value you can bring to their company. 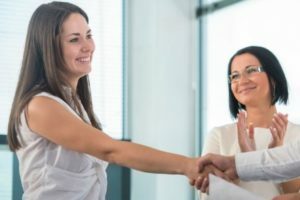 Let’s have a look at some questions they will ask you, and how you should answer each questions, to make the right impression on the hiring managers. One way or another, you should mention some goals, becasue every responsible person has them. The only exception is when you follow a philosophy of living in a present moment, and do not think about the future at all. But I would not recommend you mentioning this philosophy in your interview answer. Check the average salary for receptionist in your city/country. Just google it, there are statistics for each country, and for each job. Salary.com and Indeed.com are some of the websites who offer the numbers.